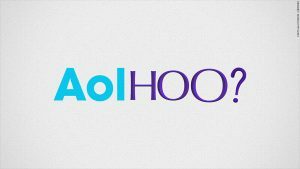 Verizon Moves AOL Mail to the Yahoo Email Infrastructure. 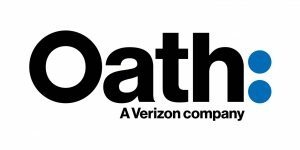 Verizon, AOL and Yahoo email are all morphing into one entity called, Oath. Oath will encompass all AOL and Yahoo products including HuffPost, AOL.com, Tumblr, Yahoo Finance, and Yahoo Mail. But the key point for high-volume senders is that AOL and Yahoo mail will be merged into one back-end; the Yahoo email infrastructure. According to the Word To The Wise blog, “MXes for aol.com will be migrated to Yahoo infrastructure around February 1st. “ For a few more details about AOL email settings try here. For most high volume senders, the choice to go with the Yahoo email infrastructure is probably a disappointment. The general consensus has been that it would be advantageous for high-volume mailers if Verizon were to move Yahoo Mail to the AOL infrastructure, instead of the reverse. Why? Because Yahoo is just harder to inbox. Plus, from the consumer’s vantage point, why choose Yahoo Mail when it’s common knowledge that Yahoo has had MULTIPLE, very public, security issues? Perhaps, in the end, the fact that Yahoo still has a considerable user base tipped the scales (plus those hacks meant Verizon got a sweet little $350 million dollar discount). At one point, Yahoo had a $125 billion market cap but, Verizon bought Yahoo for 4 billion and some change. Is the Migration of AOL to the Yahoo Email Infrastructure a Good or a Bad Thing? All Your Eggs in the AOL or Yahoo Basket? Well then…here is your opportunity to do well at both or neither! Your AOL troubleshooting may turn into Yahoo troubleshooting, overnight. An AOL email address with a Yahoo email infrastructure back-end? What has this world come to? You do not want your recipients getting a “connection to server fail” error message after-all. 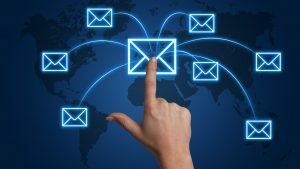 What DOES remains true, is that the better you grasp bulk email sender guidelines and requirements of your target ISP, the better your delivery rates will be. And of course some requirements are static and some need to be bent according to your data, IP space and campaign content. That’s the “fun part” to be figured out. Are recipients regularly opening and clicking on your campaigns? Purge the in-actives! Are your IP s, domains and “from” email addresses all on point? Besides clean data, good (carefully warmed) IP s are your life-line for strong ROI. Have you jumped them all? Feedback loops, DKIM authentication, rDNS (reverse DNS), SPF, MX records, DMARC etc and so on…. All we know right now is that high-volume mailers will have to navigate a mix of AOL and Yahoo email infrastructure issues for a while. This is a major migration but not a full system admin over-haul (but almost). Yahoo email is the main template but not everything will be implemented right away. So we do not anticipate a pure Yahoo email infrastructure set-up right now. Despite your well thought-out “dodge the spam blockers” plan there will be challenges. Probably the first place to start is at the DNS (domain name sever) level. It’s anyone’s guess as to how your old AOL IP s will fare. A safe assumption might be “poorly” but WHO KNOWS, yet? It may be much like the combining of office 365 with Hotmail. Let us pray that is not!